Huayna Picchu means “Young Peak” in the quechua language. It is the mountain that surrounds the Urubamba River, and It rises over Machu Picchu. 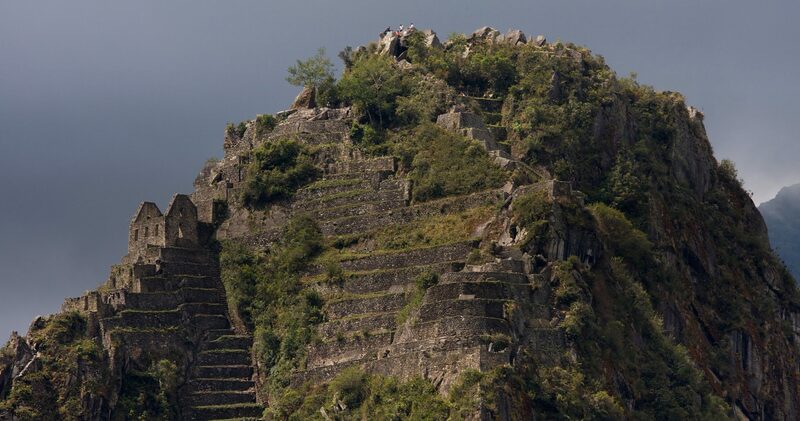 The Incas built a trail up the side of the Huayna Picchu and built temples and terraces on its top. The peak of Huayna Picchu is about 2,720 metres (8,920 ft) above sea level. The top of the mountain was the residence for the high priest and the local virgins. Every morning before sunrise, the high priest with a small group would walk to Machu Picchu to signal the coming of the new day. The Temple of the Moon one of the three major temples in the Machu Picchu area is nestled on the side of the mountain and is situated at an elevation lower than Machu Picchu. Adjacent to the Temple of the Moon is the Great Cavern, another sacred temple with fine masonry. – A Day Pack with Sunblock, Water, Camera, Hat and Sunglasses. In wet season please bring a Raincoat, or a Waterproof Jacket.